My name is Roxanne E. Smith. I am a Life Coach for highly compassionate, intuitive souls in search of self-actualization and freedom from self-doubt. I am an INFJ (Introvert, iNtuitive, Feeling, Judicial) and many of my clients who were drawn to my work have turned out to be NFs (iNtuitive Feelers) or NTs (iNtuitive Thinkers). And so it is my privilege to provide a blog that brings extra support to this special community as well as to highly sensitive people, creative artists and visionaries, and all compassionate, introspective souls and seekers. How could I possibly help others heal in a deep way unless I figured myself out first?! She was right! I had been writing poetry in a journal since I was 14 and have been continuing to write ever since. I was fortunate to have a loving, supportive husband (an INTJ) who supported my writing and my decision to focus my energy on creating a loving home for our 2 children and for all of us and making everyone’s self-esteem development my first priority. At each step of their development I saw the world through my children’s eyes and healed my own wounded soul as I wrote out my painful truth. During this time, as my children grew, my writing, study, and healing process helped me to heal and overcome perfectionism, co-dependence, various compulsions and anxieties. I was also able to heal from chronic fatigue syndrome, candidiasis, multiple food allergies (now I am only sensitive to gluten), ovarian cysts, adrenal fatigue, and low thyroid function. I am happy to say I am now healthy, full of energy, and almost symptom-free from all of these conditions and stress-related illnesses. I owe much to the alternative therapies of NAET, holistic chiropractic, some acupuncture, compounding pharmacies, Neuro-Emotional Technique (NET), and the kind, intuitive souls at my local health food stores. In 2003, at the age of 42, I started writing “morning pages” (following Julia Cameron’s book–The Artist’s Way) to unblock my creativity even further and through this “deep inner grief work” I found my voice as a writer, as a singer/songwriter, and mostly as a person! This 3-pages-a-day of free writing freed up a part of me that had been hiding in shame, and upon expressing it, releasing it, and healing it came a connection to a wise and confident part of myself–I now am thrilled to say I feel a “wholeness” and I have regained the vitality of my true self! I have found an inner peace and a new energy and ability to shine my inner light to help others! Along the way on this journey of self-growth I studied the works of Alice Miller, author of the Drama of the Gifted Child, and John Gray’s theories of working through emotional blocks from our past. Other important influences in my healing journey were Louise Hay who wrote You Can Heal Your Life and Carl Rogers who wrote On Becoming A Person. Then more recently, upon discovering more about my intuitive gifts, I was drawn to books about spirituality by Sanaya Roman, and Sylvia Browne. There are more too numerous to mention but it is to all of these highly intuitive pioneers in psychology, self-growth and spirituality that I owe my success–it is by their example and bravery of spirit that they showed me the way to my higher self. My unique therapeutic techniques in inner child healing evolved gradually as I was drawn to helping others who had been deeply misunderstood and exploited as children. For years now I have been helping highly introspective souls as a Life Coach providing Inner Child Healing. I feel with my whole heart that helping highly sensitive and creative souls to heal on a deep emotional level is my true purpose in life. My dream of helping others to find their inner power and light and true inner voice inside has come true. I was also able to unblock my musical creativity as part of my healing journey and I have written aver 50 songs since 2004. I call these songs of hope and healing “Folk Rock Songs For the Soul”. I am sharing the lyrics to many of these songs here on this blog in the hopes they will inspire others to overcome the blocks to true happiness and vitality that I was able to overcome while writing them. So, there is hope for healing the self-doubt that so many of us highly intuitive people feel inside. I am living proof! And I feel privileged to help others by sharing my journey of healing and ways you can overcome the negative voices that keep us from achieving the HIGHER heights our souls desire. You can do it! And I am here to help. I’m delighted to have found your blog. Will be happily following your work. Tom, Thank you so much for your kind words and the follow. I am equally delighted to find yours! Julie, Thank you so much for your kind words and for following me! It’s great to meet you–a fellow INFJ! 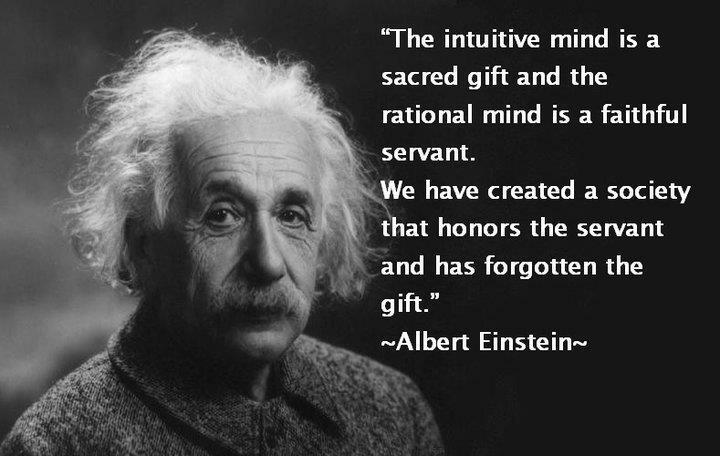 Wonderful how you are using your intuitive gifts to help others-amazing how we each find our own unique niche as intuitives. I am happy to follow you as well. 🙂 Sending you my warmest caring wishes. I have no idea what I am on the Keirsey and Bates Temperament Type Test, but I suspect I may be an NF and NT. I’m glad I found your blog. Gives me lots to think about and read. Paula, Thank you for your comment. Finding out your temperament type can be life changing–it will put your uniqueness into a positive perspective. I highly recommend the Please Understand Me Book–it will help you feel special about “you” and help you understand other people in your life as well. So glad to enlighten another intuitive person :D! Thank you for the follow and welcome to my blog! an ENFJ & of course many of my clients are NFs also – at least the ones who are most willing to to do the work & are more successful at recovery. Thanks for ‘Liking’ mine to. Glad to meet you, Donna Marie! Thank you for your comment. 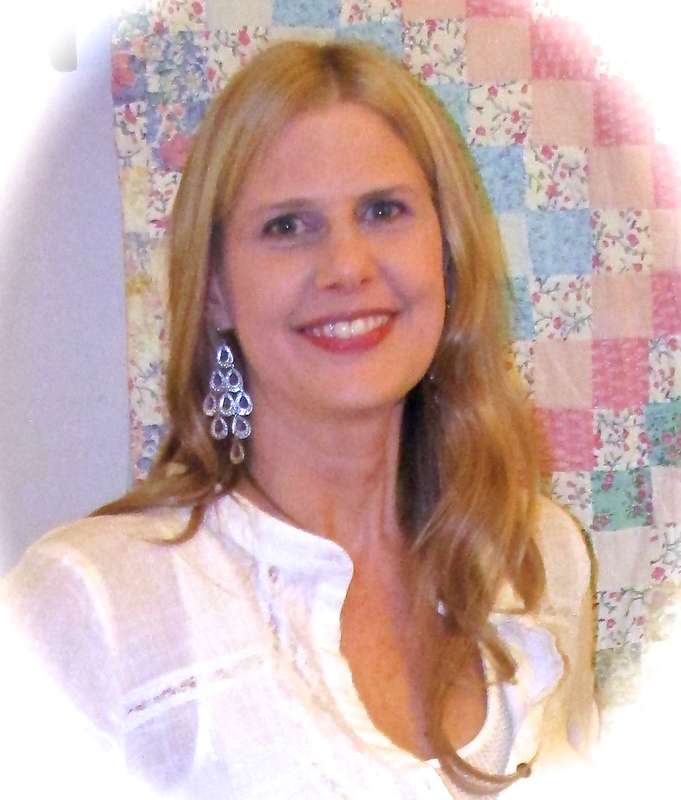 Nice to connect with a fellow NFJ who is using her gifts to help others heal their emotional wounds from childhood. Rewarding work isn’t it! I really like your website and all you are doing! Somehow I missed reading this page when you published it, and I just got around to it today. Despite the fact that we were childhood friends, I’m still surprised (yet pleased) to find out how much we have in common in terms of temperament. I wish we hadn’t lost touch over the years, but am so glad to know you’ve been having such a productive life helping other people. I’ve just ordered the book you recommended above (Please Understand Me), and will let you know my thoughts on it when I’m done. I’m impressed at how well you convey love and acceptance through your writing, and I know you’re helping more people than you even realize. Thanks, my friend. Thanks for stopping by my blog and leaving the like. Interesting blog you have here. Best wishes on your blogging. I am an INFJ too…also married to an INTJ…! ideal combo. 🙂 and I do love my morning pages…! can’t wait to check out your site! thank you, Roxanne! you too! Roxanne! I did not know that – thanks for the mention! I will look her up.. 🙂 sure does make sense re Julia! amazing! Thanks for visiting my blog. Since statistically INFJ’s are 1% of the population, I find it very cool that I have found so many like myself at wordpress! Hi Linda, Thank you for checking out my site! Yes, WordPress has been a wonderful vehicle for all of us who are drawn to express our true voices online–we find each other and it is yes, very cool! Thanks for your comment and for stopping by. 😀 Warmest wishes to you. Hi Rachel, Thank you so much for your comment and for the follow and likes! So glad to meet a fellow INFJ–looks like we have much in common. 😀 Yes, Wayne Dyer is amazing. Welcome to our Community of Compassionate Souls (lots of INFJs)! Yay!! It’s always a delight to meet another kindred soul on this path. I started in healing the child within therapy in the early 90’s and am still healing and embracing my wounded child. This is a lifetime path and a lifelong journey. hi Roxanne? I’m not very sure if this is the right place for me to post a comment on your blog concerning what i want to talk about. I was searching for why it is unbearable to live with a narcissistic mum and my search landed me on your blog. I have a narcissistic mum whom i didn’t quite know was narcissistic until a couple of months ago. I’m in my mid twenties at the moment and as i grow older and become more independent in my thinking, i find myself highly irritated being around her. It’s more like i have this pent up anger in me toward her and i don’t know how to express it. I tried to do it on my blog but along the way i felt so ashamed and a little off for talking about such personal things. I ended up going anonymous then eventually stopped posting on that blog quite recently. I just felt like the more i talked about my mother’s dynamics, the more helpless i felt. It was not like she was going to change or become more understanding or supportive. As a matter of fact, she constantly tries to hold on to my life in a somewhat subconscious way and i’m ever trying unsuccessfully to break free. I feel like she is everywhere around me and i don’t like it one bit. I can’t even share anything with her. Part of the reason i find myself resenting her nowadays is because she appears to be someone without any goals in life and ambition. She is not gainfully employed and is currently running a business that already collapsed years ago yet she refuses to take advice to change it or try something else like getting a job. Meaning she is always broke and not of much help to her kids financially as i’m still struggling to clear campus due to fee problems. I feel like she enjoys being a parasite to people and she also tries to make us her daughters not to have any ambition or goal in life by trashing all our decisions or subotaging our efforts at personal growth. At the moment, i’m quite helpless and i really need a solution to this as in my society it is not possible to cut links with a parent for good though i find myself increasingly wishing i could. Our narc mum has used religion too to abuse us. She imposes her beliefs on us and reacts with anger when we don’t seem to share the same ideologies with her concerning religion. She is quick with her tongue and won’t hesitate to mock you or blast you at any given opportunity. I feel overwhelmed at times with her demands for attention yet she is a grown woman. She will not let me be and takes it personally whenever i try to have my me time. Frankly, at times i regret being her daughter. So glad i found you! your site and blog has been helping me heal in so many ways! 😀 I have felt so misunderstood , but its almost like you summarized my entire child hood. i am also INFJ. I am finally learning and becoming the woman that i always wanted to be, leaving a lot of negativity, draining and toxic relationships in the past. Turning 21 soon, and finally have the chance to start school. you are such an inspiration. its a funny thing how synchronicity works, I planned on majoring in child development, i knew i wanted to help others, i just didn’t know the exact way to go about things, but you have paved the way . i hope that soon i can also acquire my bachelors and masters degrees and live out my dream of helping others just like you have. Hi Roxanne! Thanks so much for following my blog! I’m an INTJ. I love the Meyers-Briggs. 🙂 Looks like we have a lot in common. I’m looking forward to reading more of your blog and learning more about you.